Nary a Drop to Drink? Engineers are turning to tree-ring studies and other “paleo-reconstruction” techniques to better predict droughts and keep taps running. Providing access to clean drinking water is one of engineering’s 14 “grand challenges” for the 21st century. That includes planning for and managing supplies during times of drought, such as the one New York experienced in the mid-1960s. Until recently, the solution to municipal water scarcity was to develop new resources. But limitations on acceptable reservoir sites, restrictions on groundwater sources, rising development costs, and growing environmental-impact concerns limit such efforts today. Operating constraints that include population expansion, economic contraction, regulations, and hydrologic uncertainty compel water-supply managers to seek approaches that offer flexibility and reliability while minimizing capital expenditures. Stress indices for drought conditions relative to current and projected demand could help them better gauge the risk of shortfalls and plan accordingly. A team of researchers from universities in New York, Arizona, North Carolina, and Canada, together with the United States Geological Survey, is investigating a way to improve water-supply planning using “paleo-reconstruction models” based on long-term tree-ring data. The researchers, funded by the National Science Foundation, are gathering centuries of these arboreal records to reconstruct streamflows in two river basins—the Delaware and the Missouri—using innovative statistical techniques based on Bayesian methodologies. Understanding the variability of rainfall, river discharges, and climate cycles at decadal and longer timescales “is critical for anticipating and managing water supplies in the future,” argue the researchers, led by Naresh Devineni, an assistant professor of civil engineering at the City College of New York. This is particularly true for the Missouri River system, which they call “the life-blood of the American Midwest,” and which has faced an array of challenges brought on by extreme flooding and droughts. Their study includes collaboration with the U.S. Army Corps of Engineers Institute of Water Resources in its upper Missouri Basin offices; engaging Montana water users in the headwaters region; convening an informational workshop for local, state, tribal, and national management agencies; and producing a K-12 science module on water resources focused on Montana’s vulnerability to climate change. What can engineers learn from such archival climate information? While infrastructure improvements and recent conservation efforts have led to greater reliability and resilience of some of the country’s larger water systems, the operating rules of these reservoir systems are based on relatively short-term records. These dictate such things as minimum water levels to be maintained at any specified time, or establish drought-return periods. Hydrologic reconstructions of discharge from tree rings spanning the past several centuries to a millennium can provide a significantly more complete range of streamflow variability while putting the short-term instrumental record into long-term perspective. This more complete picture of streamflow and climate variability over time gives utilities—especially those in smaller cities that are more vulnerable to prolonged dry spells—a planning horizon and benchmarks on which to base drought-management efforts and operating policies. Currently, there is a knowledge gap in understanding long-term climate variability and its impact on river-basin discharge in part because of a lack of reliable instrumental stream-flow data. Such measurements typically date back to the 1950s and few are free of significant modifications due to flow diversion or regulation. Thus, the design and operation of water systems may not adequately take into account persistent climate regimes and associated vulnerability to prolonged dry spells. Moreover, for an objective drought assessment, one initially must understand a region’s year-to-year and decadal climate variability before integrating it with climate-change scenarios to model changes in average flow availability, seasonality, and intermittence. Paleo-reconstruction and paleohydrology research may seem far afield from civil engineering. But the results offer an important new tool for simulating water-system operation and evaluating operating rules for reservoir systems under changing conditions. As Leonardo da Vinci noted of mathematically precise branches, there’s engineering wisdom in trees. 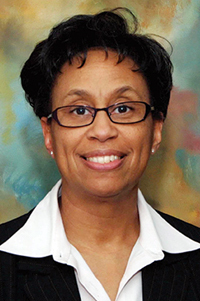 Rosemarie D. Wesson, Ph.D., is associate dean for research at the Grove School of Engineering, City College of New York, where Naresh Devineni is an assistant professor of civil engineering.